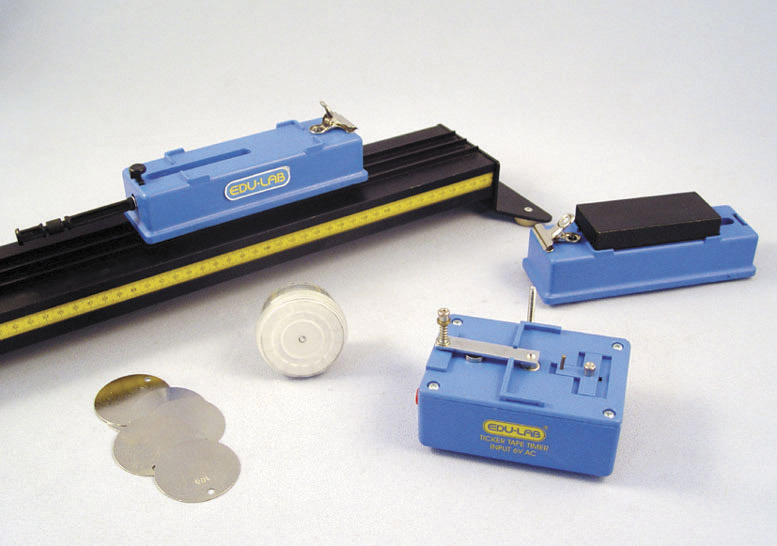 Designed to suit curriculum based experiments for the topics of Force & Motion. The carefully designed and matched components provide an excellent medium for demonstrating these important principles. The unit comprises: Aluminium Track, 1.2m; 2 high-impact moulded trolleys (1 spring loaded); 1 trolley weight; 10 x 10g masses; 1 x ticker tape timer; 20 x carbon discs.